Tenerife – a classic Brits-abroad destination of karaoke bars and boozy tourists. Well, that’s what I first thought anyway. 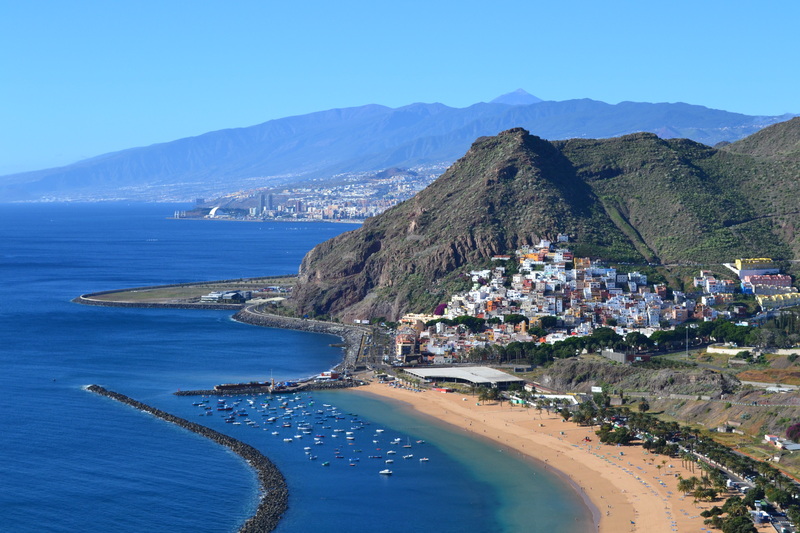 All it takes is a hire car and the willingness to tear yourself away from the busy, sun-baked beaches of the tourist resorts, including Playa las Americas (I didn’t take much persuading) – as I discovered on a recent visit. 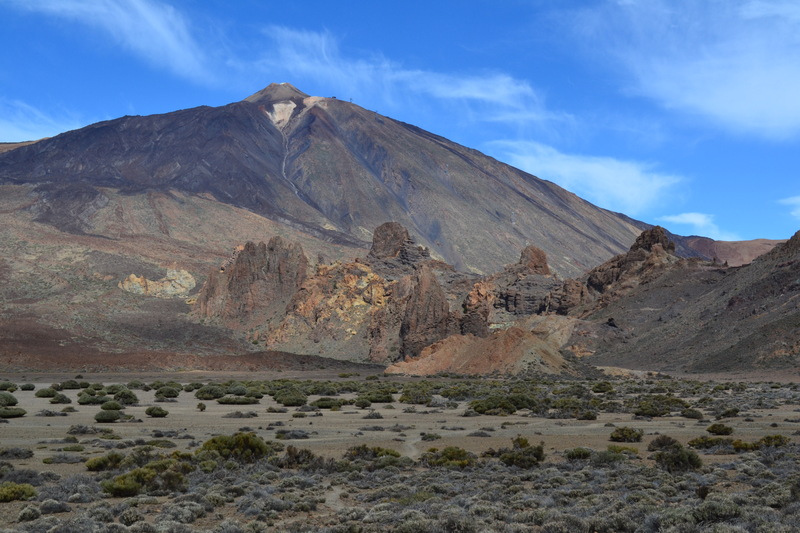 Our first stop was the Mount Tiede National Park – acres of craggy rock formations and crumbling petrified lava, with the imposing Mount Tiede (3,718m) as its centrepiece. We drove right up the base of the perfectly cone-shaped volcano (you can get a cable car up higher for 25 euro) – and it was as if we had driven into a different country; the landscape could not have been more removed from the built-up coastline. As we drove back down, a sea of cloud carpeting the view below us, we made our way down through the winding, spaghetti-like roads to Masca – a village nestled at the foothills of the Teno Mountains. Making our way down, our ears popping from the descending altitude, it struck me that this was what was so great about Tenerife – you can see so much in one day as it only takes one hour to drive from one side of the island to the other. Within half an hour we were slowly descending into the verdant valley where Masca lay, carefully navigating the hairpin turns (I couldn’t believe coaches got down here). Like a secret hideaway, it was hard to believe this valley, punctured by yet more interesting rock formations, was so green, with both the alien landscape of the Tiede National Park and the dry, desert-like plains of the southern coast short drives away. It felt like a little oasis; it wasn’t hard to see why it was once a pirate hideaway. Until recently, it was fairly unknown. 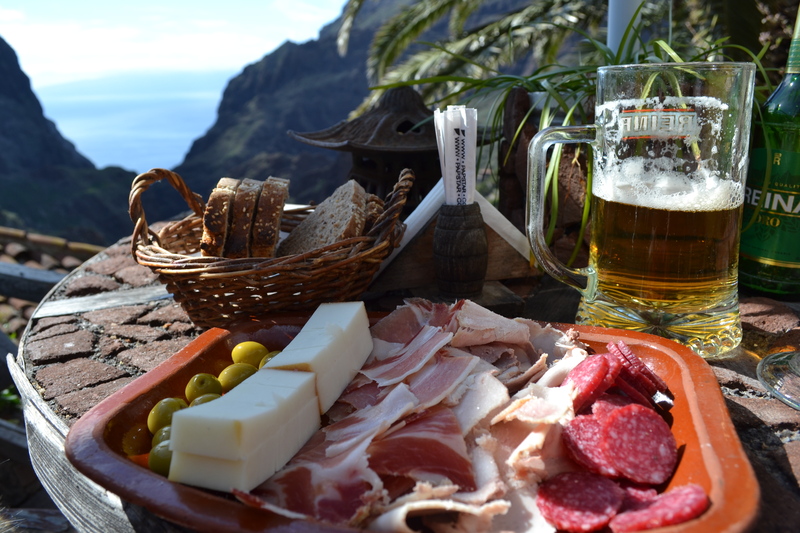 We found a stunning lunch spot – the small but perfectly formed Casa Riquelme, with a gorgeous terrace overlooking the valley and the Bay of Masca. We tucked in to a delectable selection of local meats and cheese, with juicy green olives, warm bread and freshly-squeezed orange juice whilst taking in the view and soaking up the sun. It was absolute heaven! The next day we drove to the north of the island, where we noticed a marked change in the landscape – the cacti-covered desert was replaced with rolling green hills more akin to Hawaii. After checking out the brightly coloured historic buildings of La Laguna (a world heritage site) we spent the afternoon lazing on deckchairs at Playa Las Teresitas – an arc of golden sand fringed with palms. I may have had a whistle-stop tour of the island, but I felt like I experienced the real Tenerife. And I can’t wait to come back.